The company is contributing its TensorFlow APIs to Project Maven. News has emerged that Google is helping the Department of Defense use artificial intelligence to analyze military drone footage. Information about the project was shared among company employees last week, and later shared by Gizmodo. The initiative, known as Project Maven, was launched in April 2017. 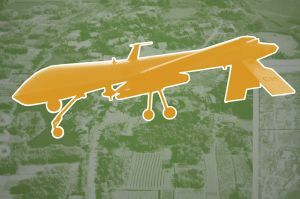 Its goal is to provide the U.S. Air Force with a means of sorting through the massive amount of imagery produced by its autonomous drones, to figure out which items require human analysis. Google has been providing its TensorFlow application programming interface (API) to the Department of Defense in order to help machine learning algorithms recognize particular objects. A statement from the company submitted to Gizmodo stresses that the technology was used for non-offensive purposes. However, there’s apparently some unrest among employees regarding the project. Some are upset that Google is dedicating resources to the military’s usage of surveillance technology, while others are arguing that Project Maven raises important questions about the ethical implementation of machine learning. There’s resistance on the other side of the issue, too. The National Geospatial-Intelligence Agency is a part of the Pentagon that’s responsible for analyzing images collected from satellites and drone footage. It’s currently in the process of introducing new technology into its capabilities, and some analysts are worried that too much reliance on automated systems instead of human experts will result in less effective intelligence. Machine learning certainly has a role to play in military surveillance – Project Maven has apparently been employed in the fight against ISIS since December 2017, according to a report from The Bulletin. The question is how to use these tools ethically, and how much oversight is appropriate, given the nature of military operations.